We offer top grade Steel Forging to our clients'. The Steel Forging is developed for enhancing the competitiveness of all wrought steel components, particularly in the automotive segment. This is done by acquiring the required properties similar to forged conditions. 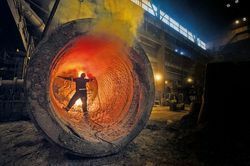 Hence, demand of heat treatment, straightening and stress relieving of low alloy steel has been eliminated. We are offering Stainless Steel Pipe & Tubes to our clients. 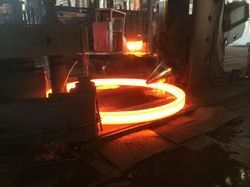 We are a prominent firm engaged in providing an extensive range of Ring Forging, which is highly acknowledged by the clients in the leading market. We make use of premium quality materials and advanced technology for the process of manufacturing. The offered range of Ring Forgings can be availed by the customers as per their requirements and specifications. Ring Forgings are designed and developed in the compliance with international norms and quality standards. 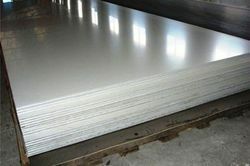 We are offering Stainless Steel Sheet to our clients. We are offering Steel Pipe Fitting to our clients.